This cutting-edge book is the essential guide to what’s next in contemporary art, and to the visionaries who are making it happen. Traditional histories of art have often been confined to a western European framework. But with the birth of contemporary museum culture, the proliferation of art fairs and biennials in regions far and wide, and the advent of digital technologies, new global networks have emerged, fostering a new world map of art, and paving the way for the art of tomorrow. How do we engage with contemporary art in this global, ever-developing context? 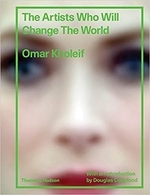 Senior Curator Omar Kholeif―a respected voice in contemporary art criticism―surveys the most influential figures and works in a series of concise, accessible entries. 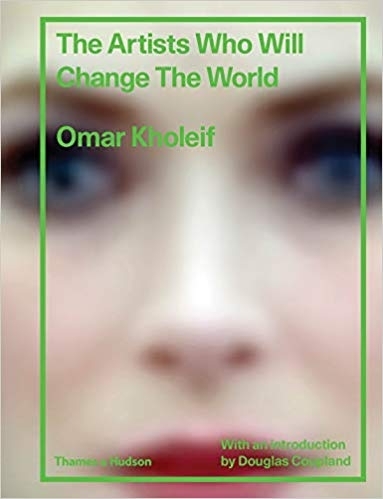 The Artists Who Will Change the World is an introductory field guide to what the most urgent contemporary artists―Amalia Ulman, Lynette Yiadom Boakye, Hito Steyerl, and others―are producing worldwide. Whether engaging with the aesthetics of technology or the fluid world of politics, their work will influence generations of artists and art lovers to come.